Gospel Link was birthed from a God-given vision, first delivered to CEO Roger Moore, and is shared by many. Individually and collectively, we possess a deep and genuine desire to inspire and build people through the Gospel by reaching all – but especially the youth – primarily through the language of music, which we recognise as a powerful and predominant form of communication in contemporary culture. Identified as pioneering, innovative and informative; Gospel Link is an influential tool and a critical resource to Gospel lovers, yet also includes aspects of CCM and world music. Our professional and dedicated team deliver cutting edge news, enlightening music reviews, exclusive interviews and articles. Acclaimed and respected in mainstream and Christian arenas by professionals from both print media and music industries, yet most importantly is making a huge impact on the streets and in the lives of upcoming generations. 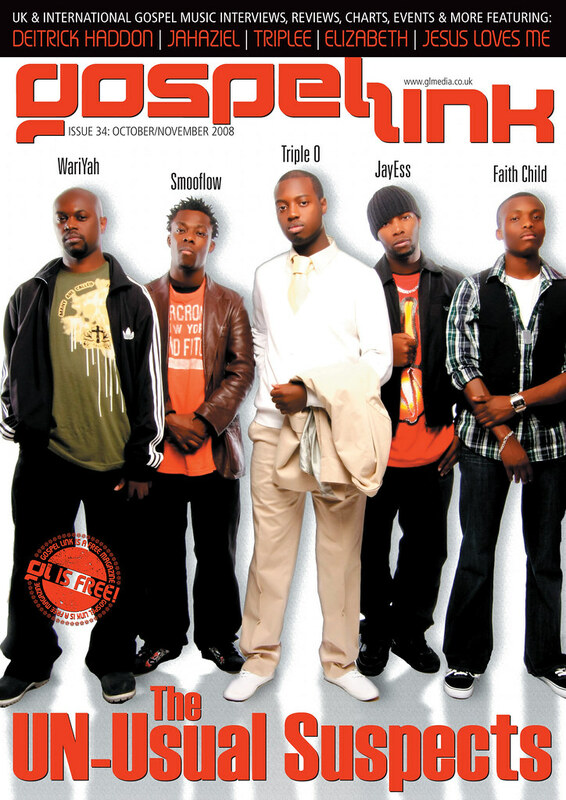 The magazine presently distributes over 15,000 copies nationwide to churches, Christian businesses, organizations, music stores, youth clubs, and at major events via our street team. Furthermore, GL magazine reaches across the US and also in Europe and Africa, also supported by thousands of devoted on-line and subscribed followers. The greatest achievement is the positive effect Gospel Link is having on lives, evident by the abundant testimonies we receive. LOVE GOSPEL MUSIC? LOVE GOSPEL LINK!